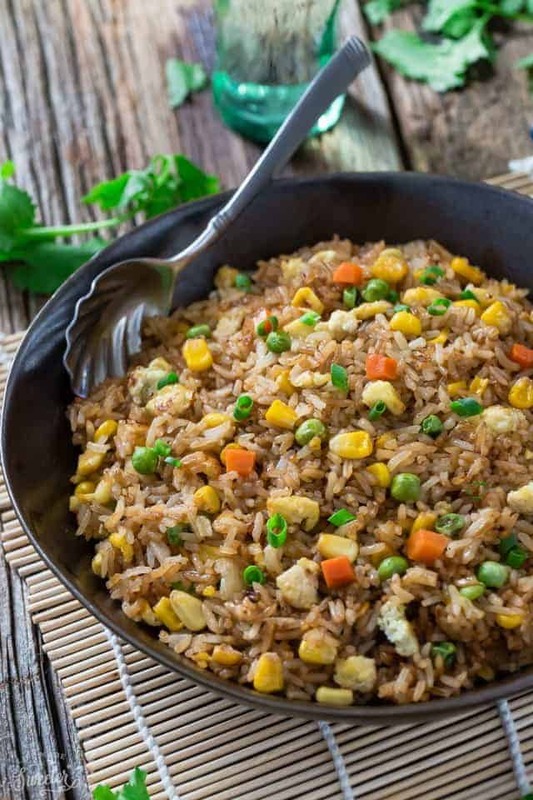 Perfect Fried Rice – it’s so easy to make this popular Chinese takeout dish at home. 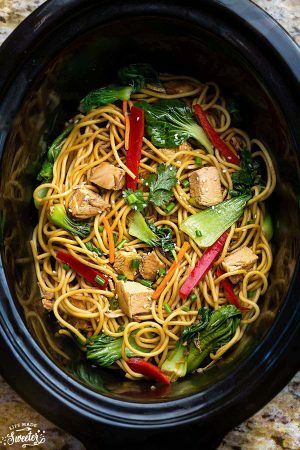 Best of all, this 15 minute recipe includes a few secret ingredients and tips to make it better than the local takeout restaurant. Plus recipe video. 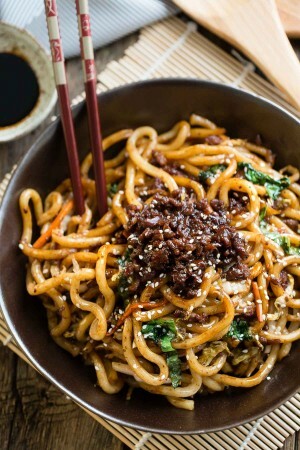 Pin for later AND follow my Recipes Board for more tasty Asian recipes! Please note, this post contains some affiliate links. Quick and easy meals are always a favorite around here. One of the questions I get asked the most on here? How to make the perfect restaurant style fried rice at home. 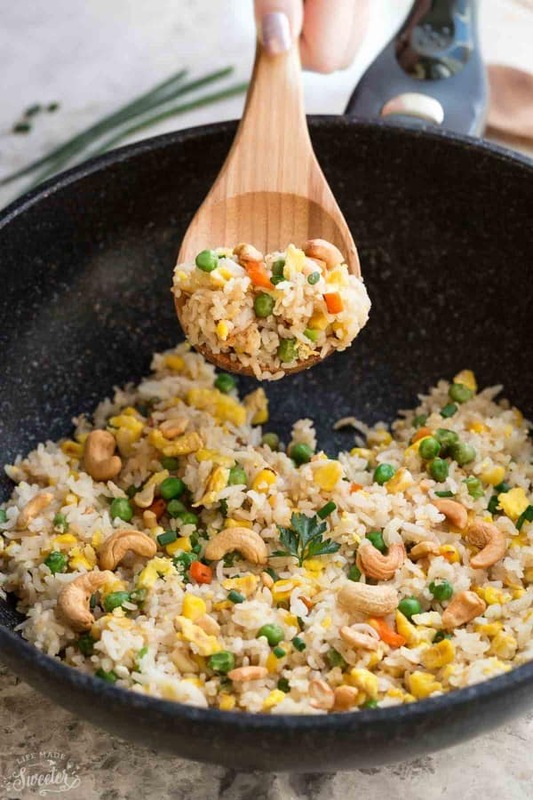 With SO many recipes online that claim to be the best or better-than-takeout fried rice, did you guys really need another fried rice recipe? And, I’ve got my own secret tips plus a short video on how to achieve that perfect bowl of fried rice. 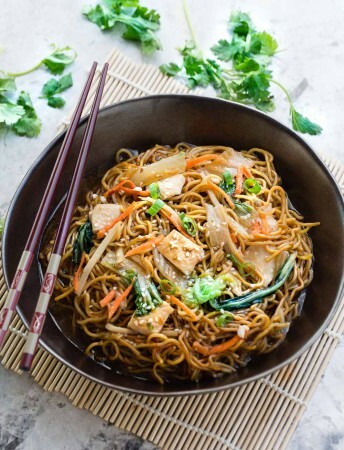 Plus you guys already LOVE my authentic Chow Mein, Lo Mein and Pad Thai dishes. 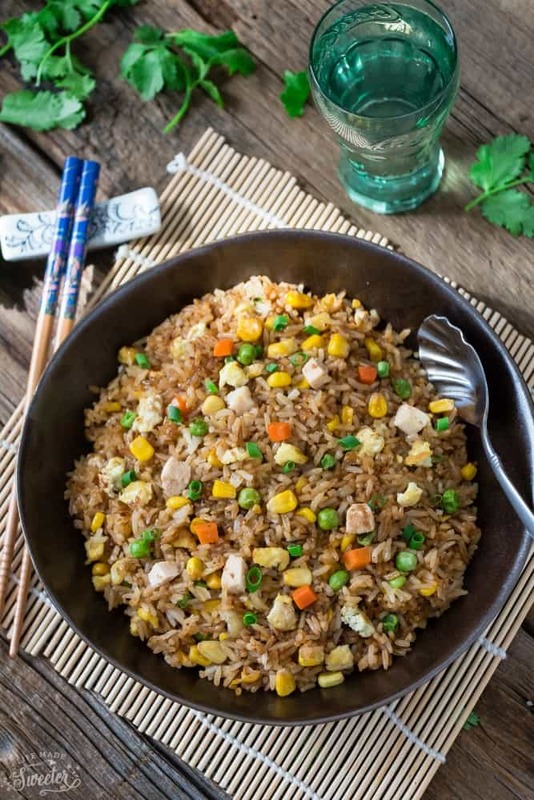 And this Perfect Fried Rice is another easy ONE pan dish. Do you guys always have odds and ends lingering around by the end of the week? 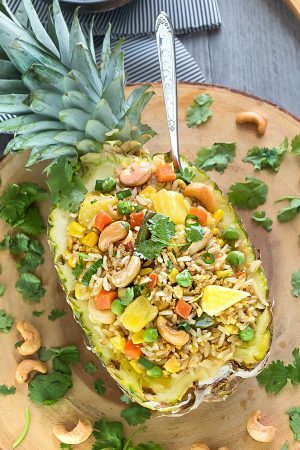 Fried rice is seriously the BEST for cleaning out the fridge! 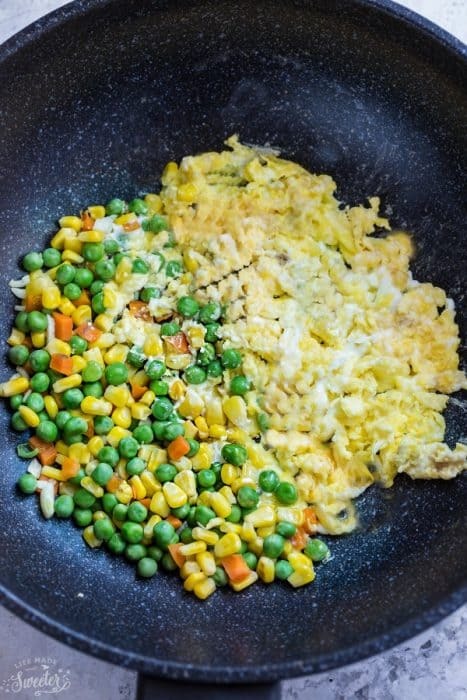 The one I’m sharing today uses diced mixed vegetables (fresh or frozen (thawed first)) and a couple of eggs. You can choose to add chicken or your favorite protein – shrimp, beef or tofu. Use a large wok. It helps to retain and distribute even heat. This one, this one and this one, are my favorite. And if you want a kick of heat you can add in some grated ginger, diced onions, Sriracha, chili garlic sauce or red pepper flakes. I also like to add in some roasted cashews for a nice crunch if I have them on hand. Type of rice – Medium to long grain rice works best. I almost always use Jasmine rice which produces fluffy, sturdy grains that don’t clump or fall apart when fried. Short grain rice like sweet/sushi rice or glutinous rice, tends to be softer and stick together. 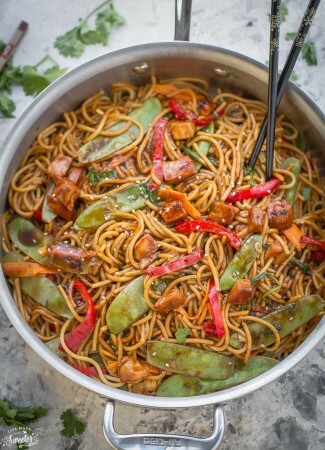 A blazing hot wok (a wok is ideal but a large nonstick pan or skillet) and an adequate amount of oil will ensure your ingredients don’t stick to the surface. Try not to overcrowd your pan with too much rice or add-ins or the cooking surface won’t get hot enough and your ingredients will get soggy causing the rice to clump together. 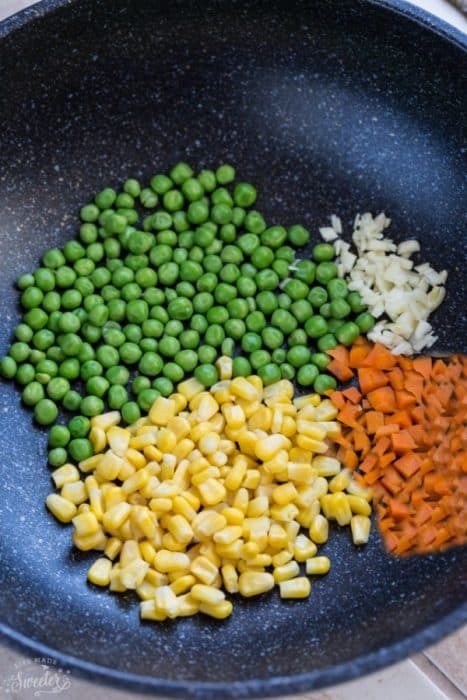 You can always cook in batches or each ingredient individually (raw vegetables or meat, egg) then remove from the pan onto separate plates and return all the ingredients to the pan at the end. Ideally, you should cook no more than 2-3 servings at a time. 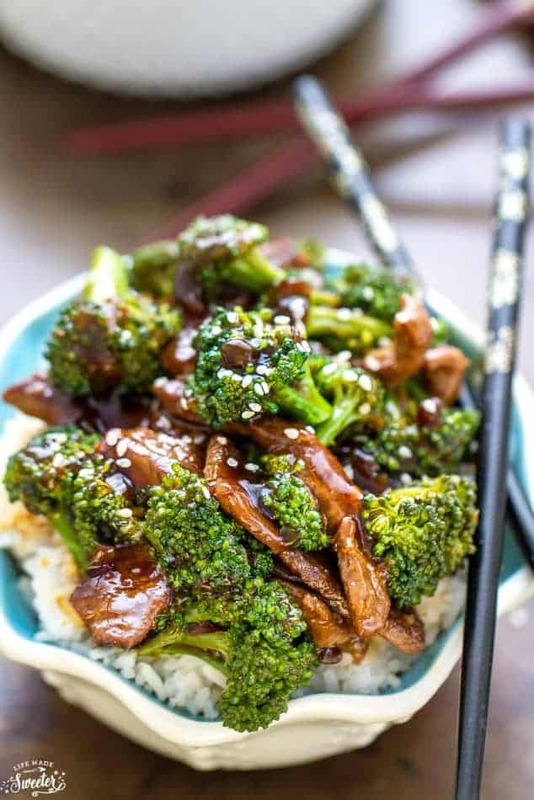 Don’t overdo the saucy seasonings like soy sauce or it will make your rice mushy. You can always season at the end with a little bit more salt, pepper or even red pepper chili flakes for a kick of heat. BONUS TIP: USING A RICE COOKER to cook your rice grains helps ensure that you’ll consistently get perfectly cooked rice every. single. time. 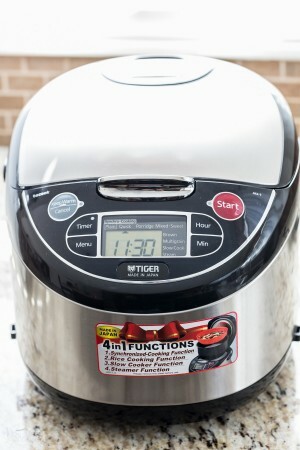 We use and love this Tiger JAX-T10U-K. It’s the perfect size for our family, super easy to use and the rice cooks up perfectly every time. 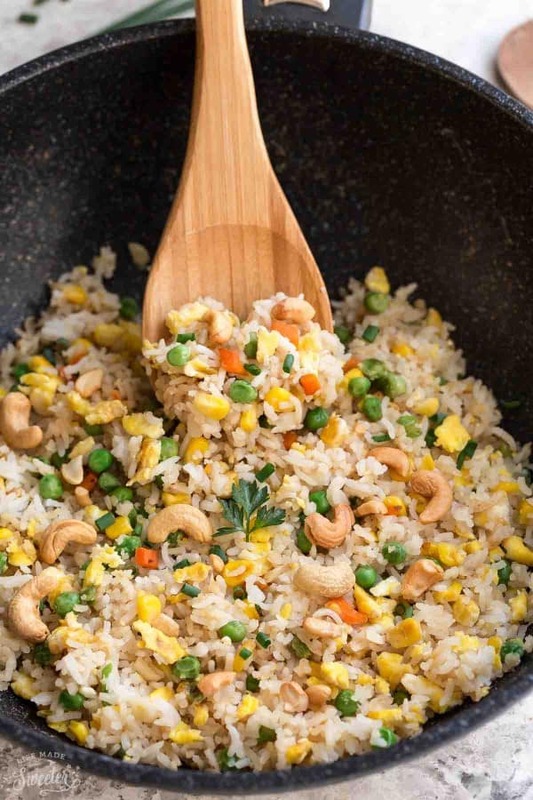 My husband and kids are big rice fanatics so having a rice cooker makes it super easy and convenient to make which we then use for a batch of fried rice at the end of the week. Fried rice is also a sure way to get my kids to clear their bowl even when they tell me they’re not really hungry. It’s also a tasty and simple dish to make during those busy weeknights once school is back in session. 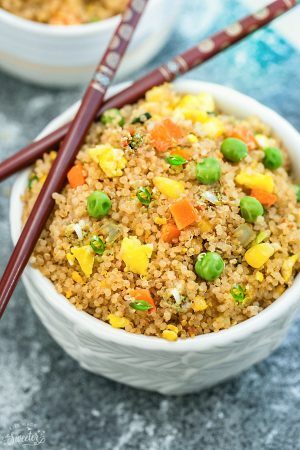 Perfect Fried Rice - an easy to customize 15 minute dish that's perfect for busy weeknights. Heat 1 tablespoon of cooking oil on high heat in a non-stick wok or pan until smoky hot. Toss in the mixed vegetables and sauté for about 10 seconds.Add garlic and stir-fry for another minute. Push all the ingredients to one side of the pan and pour in the beaten eggs. Scramble into small pieces until cooked. (Add in cooked meat if using and saute for another minute). Stir in the rice and break up any large chunks with a spatula while tossing until heated through, around 2 minutes. Drizzle in soy sauce, fish sauce, mirin and sesame oil, tossing to combine everything evenly. Keep stirring the fried rice until slightly toasted, about 2 minutes. Add salt, black pepper, red chili flakes or even Sriracha to taste. Transfer to bowls and serve hot and garnish with green onions and sesame seeds, if desired. Feel free to swap in other vegetables to your liking but be sure they are chopped in bite-sized pieces so they cook evenly. Check the blog post for more tips.